If you’re a Teenager who is looking to earn money in your spare time as a part time job or just a way to earn some extra cash and rewards then paid surveys will be perfect for you. You will find below list of the most popular free market research websites that all offer online surveys. They are sorted by age and the amount you can earn per survey. By registering with each of these sites you can join hundreds of thousands of people who are already making money or other rewards in their spare time. There will never be anything for you to pay, simply register with each of the sites listed below and fill in the surveys that they send you. After completing the online questionnaires you will be rewarded for your time and providing your opinions with cash and other rewards. The other rewards you may receive will include online gift cards, high street vouchers, magazine subscriptions, Facebook credits, music downloads and lots more. Paypal / Visa Debit Card. Age 13+ One Opinion Review Join Now! Paypal / Gift Cards. Age 14+ One Opinion Review Join Now! Cheque / Paypal. Age 14+ Global Test Market Review Join Now! Cheque / Amazon Voucher. Age 14+ CFS Panel Review Join Now! Paypal / Amazon / Others. 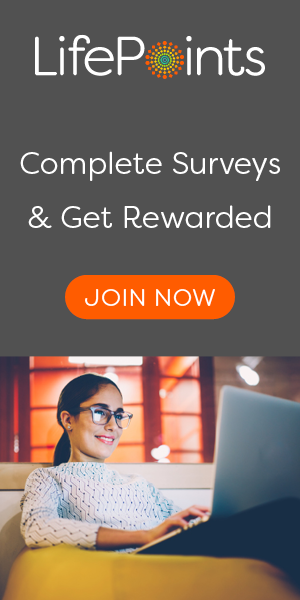 Age 13+ SurveyRewardz Review Join Now! Cash via Paypal Age 15+ Hiving Review Join Now! Gift Cards, Downloads, Paypal Age 13+ Swagbucks Review Join Now! Paypal / Amazon Gift Card Age Any Mintvine Review Join Now! Paypal Age 14+ Opinion Outpost Review Join Now! Paypal / Facebook Credits Age 13+ Survey Downline Review Join Now! Is it Safe to Take Surveys on the Internet? Yes, it is perfectly safe as all the market research sites that we list are legitimate companies often operating worldwide with excellent reputations. We would never advise you to join a panel that asks you for any money or any credit card information. We have done all the background checks to ensure that everything listed is completely legitimate, free and rewards you with real cash or vouchers for your time. Why Would Companies Reward Me To Take Online Surveys? Your opinions are a lot more valuable than you would think. Companies from all around the world pay out billions for market research every year. Market research is important so companies can better develop their new and existing products or services. The results of the questions you answer are shared with these companies so they can understand exactly what their customers are thinking. Most people think you need to be 18 to be paid for completing surveys however this is not the case. Many survey websites will accept teenagers as new panelists who are as young as 13. In our review pages you will find the age requirement to join and whether you will require your parents / guardians permission. On average you will earn around 50p – £20 for an online survey taking from 5 minutes to an hour. For longer and much more complex projects its possible that you could receive considerably more. Will I Only be Able to Earn Cash? Most survey panels that are available do offer cash payments which are usually sent directly to your bank or Paypal account. If you don’t have a Paypal account then you could ask your parents or other members of your family if you could have your payments sent to them instead. As well as cash some sites offer payment via gift vouchers, music downloads, Facebook credits or other forms of compensation. What Other Market Research Opportunities Can I be Paid For? As well as paid surveys some research companies that are listed here also offer other exciting projects including mystery shopping, product testing and focus groups. If you are selected to take part in these other projects then you will receive a much higher payment for your time and efforts.